Autonomous underwater vehicles* (AUVs) have been around for decades, but recent advancements have overcome previous obstacles and expanded researchers’ ability to understand and protect coral reef ecosystems. AUVs are unmanned, self-swimming pieces of equipment, which can navigate the water column and collect data and/or perform tasks. Since they do not require divers, they can stay underwater for extended periods of time, making them a superior method to scientific divers. They are also easily maneuverable, and can cover complex sites and/or vast spatial areas. AUVs can collect data in areas or conditions not accessible by humans, such as at night or in narrow passageways. The more simplistic innovations collect imagery and acoustic data, which can be converted to underwater maps and structural models. These relatively simple autonomous devices increase the area researchers can observe at one time, and can expand researchers’ understanding of species composition and other seafloor metrics. More high-tech innovations can be incorporated or paired with artificial intelligence and self-learning technology, greatly enhancing monitoring potential. 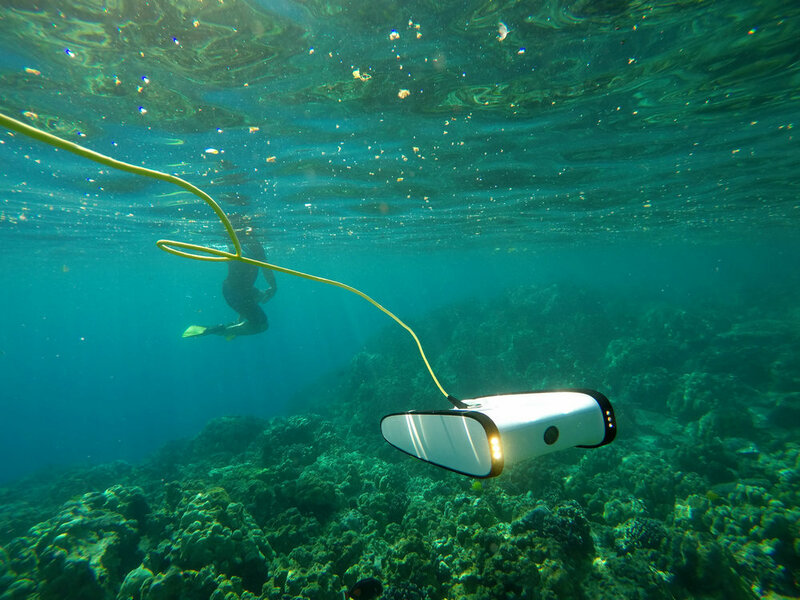 An example of advanced AUV applications is OpenROV, which is working with software developers to use their Underwater Drone for fish identification and reef monitoring surveys. Their technology can recognize and record fish species and abundance data along a reef site. Integrated monitoring and analysis cuts data collection/processing time, by eliminating the need to send divers into the water or have trained researchers watch hours of film to collect fish survey data. Such programs are also capable of accurately recognizing numerous species, increasing data accuracy. OpenROV Underwater Drone, along with other technologies, can also stream footage back to the pilot, allowing real-time data collection and increase outreach opportunities. AUV’s are already making an impact on reef research and monitoring. 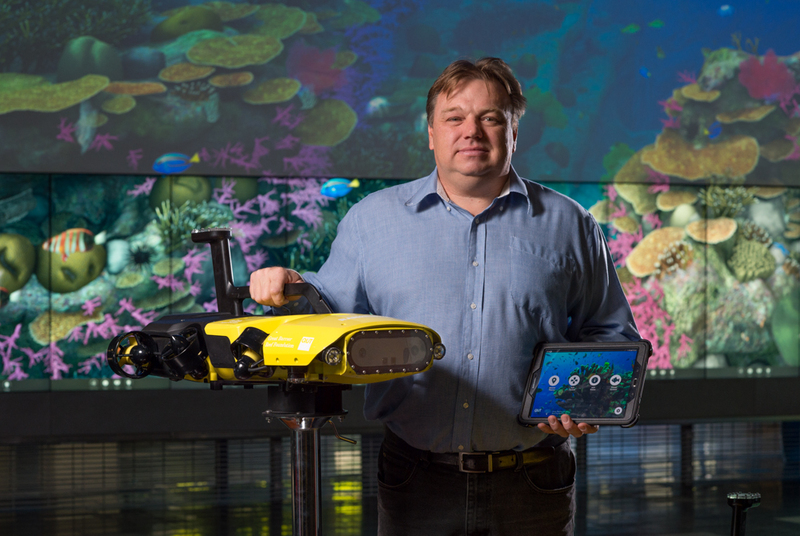 (Cue Starfish-killing robots…) Queensland University of Technology (QUT) researchers use their autonomous underwater device, affectionately named RangerBot, to monitor andprotect the Great Barrier Reef. (Introduce Crown of thrown starfish here and explain why is is damaging to the reef). RangerBot uses recognition software to detect invasive crown-of-thorn starfish and issue a lethal injection, without harming other marine life. In addition to fighting starfish, RangerBot can monitor other indicators of reef health, such as coral bleaching, pollution, and water quality. Researchers are already taking advantage of advanced AUV technologies in the field. Recent studies (benthic community survey: Turner et al., 2018; and fish abundance : Marini et al., 2018) show the benefits of replacing scientific divers with AUV technology, and applications of the revolutionary technology. Advanced AUVs open doors to not only research advancements, but enhanced environmental monitoring, as well. Armed with these devices, monitoring agencies can easily perform ongoing surveillance and track reef health. AUVs require much less training than scientific diving, allowing more people to utilize the equipment—spelling big change and a bright future for coral reef research and monitoring programs. Turner J, Babcock R, Hovey R, Kendrick G.A. (2018) AUV-based classification of benthic communities of the Nigaloo shelf and mesophotic areas. Coral Reefs. 37(3):763-778.